Experts have mixed opinions on the best environment for autistic children. While most experts agree on home safety issues, the educational and social environment remains controversial. If your child has autism, how do you determine the ideal environment for your child? Environment is important to autism treatment because it influences behavior. You can shape your child's environment to discourage destructive behaviors and encourage positive ones. Safety: The environment must always be childproof. Structure: Children with autism often prefer strict routines. Peace: A calm environment can soothe anxiety issues. Stimulation: Provide opportunities that stimulate the child's senses within the environment. Your child will have several environments to acclimate to - home, school and social environments. You want to make sure that each one addresses your child's needs and nurtures him. Organize your home to assist your child's progress. Arrange furniture in a way that allows your child to understand and cooperate with directions and tasks. Label common household items that your child sees daily. Use signs to give directions and establish boundaries in the house. All of these things will make it easier for your child establish a routine, feel comfortable and learn. Place child-safety locks on all doors and windows. Put childproof covers for all electrical outlets. Secure cabinets and drawers closed with child-safety latches. Keep appliances and all dangerous household items out of the child's reach. Fasten eating utensils and plates with string to the table to prevent the child from throwing the items. Use a wrist alarm and ID bracelet as a precaution for an autistic child who tries to leave the house constantly. A fence can help prevent the child from leaving the home easily. Provide a sensory room where the child can relax or play while engaging the senses. Sensory rooms have activities and objects that utilize the senses such as swings for vestibular input, aromatherapy for smell, and music for auditory. Experts are divided on whether children with autism thrive when included with other students or when placed in special autism programs. The inclusion approach places autistic students in a mainstream classroom environment with other children. The idea is that the autistic students will learn both educational and social skills from nonautistic students. It is also an attempt to avoid separating the children with autism from other children. The public school requirement of independent education plans (IEP) allows the students with autism to learn in either a special education class or mainstream class. Some experts argue that inclusion brings out positive behavior and encourages learning in an autistic child. Detractors say that inclusion classes can be a damaging experience for the child if he is teased and argue that teachers cannot give the autistic student enough attention in an inclusion environment. An inclusion teacher may or may not have special education training. It is common for children with autism to be placed in special education classes when attending public or private school. Special education environments may include children with a number of different disabilities or only autistic students. Many parents prefer special education because many of the teachers are trained to deal with students with autism. The teacher-student ratio is often small enough to allow teachers to give each student enough attention. Some parents of children with autism decide that their child will learn best in a homeschool environment. Parents who choose to homeschool often feel that this is the best way to provide enough attention to meet their child's needs. The child is already accustomed to her home and may be more open to learning new things in a home environment. Homeschooling also allows a flexible schedule for the child so that learning can take place at optimal times. Be sure to get an IEP as a home school guide. Public schools are required to provide one for your child, even without public school enrollment. Provide structured social environments when possible. Establish a routine that encourages your child to interact comfortably with other children such as through games, classes and therapy sessions. 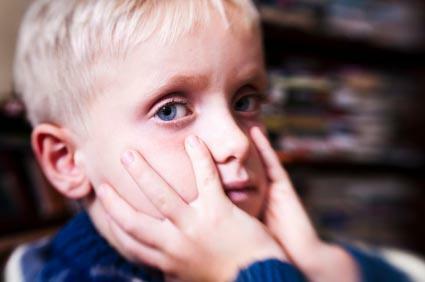 Socialization may be extremely difficult for some children with autism. Talk to an autism therapist on ways to help your child improve social skills. The best environment for autistic children depends upon each child. Every case of autism is unique and the environment that works for one child, may not work for another. Talk to your child's doctor, therapists and teachers to get advice on the best home, school and social environments for your child. Pay attention to your child's reaction to different surroundings and you will know how to choose the best setting. After all your research, remember that the most important aspect of any child's environment is love.